Müller, Anette, graduate engineer, Criminal Investigation Office (LKA) of the State of Schleswig-Holstein – not, in itself, an unusual entry for a list of participants. When, however, it appears on the list of participants of an international textile conference, the question invariably arises as what hot lead this German police office is pursuing at a meeting of textile experts? We sent Ms Müller a mail asking for her to help us with our inquiries during the conference. Her friendly reply included a significant clue in the signature: “Ministry for Internal and Federal Affairs of the State of Schleswig-Holstein, Criminal Investigation Office, Dept. 4 / 435, Textile Trace Analysis”. So, we thought, we’d best be very careful how we phrase our questions. 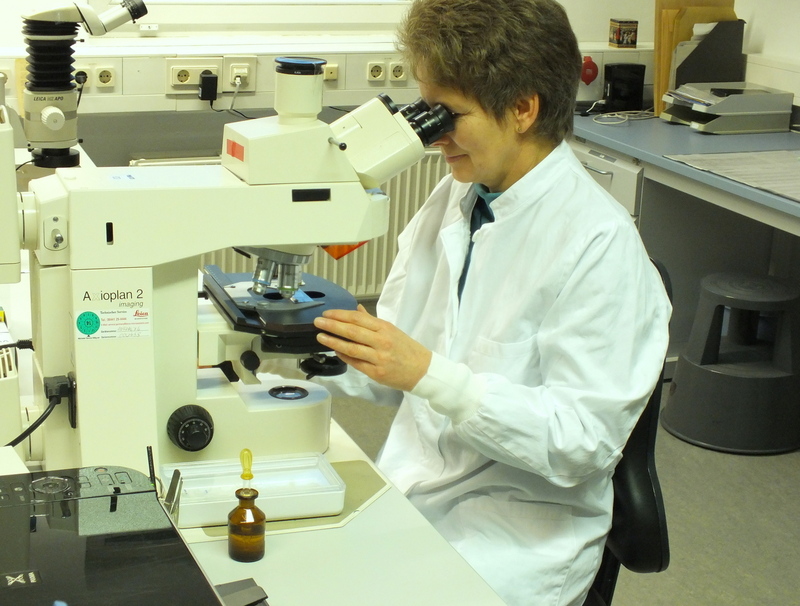 Ms Müller, what does textile trace analysis mean? In principle, it’s like detecting DNA traces except that we look for traces of textiles in a variety of materials, for example, individual fibres, yarns, textile fragments, garments and pieces of furniture, such as armchairs. This material is gathered at crime scenes – which cover the spectrum from robbery to murder – by the crime-scene specialists and sent to the laboratory for analysis. 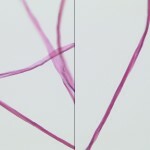 There, we look at them under the microscope to see if there are any textile contact traces; in other words, evidence of contact between the victim and the suspect. What exactly are textile contact traces? To be able to identify and classify a garment unequivocally, it is necessary to find certain matches between the suspect’s clothing and that of the victim. The smallest fibres or fibre fragments can be enough to prove that contact has taken place. In particular, we look for changes and damage to the textile caused by contact between the victim and suspect or a certain weapon. Did you attend the textile conference with a certain case in mind? (Laughs) No, don’t worry, there was another reason: we have to keep up to date with the latest developments in the textile field. Textiles are amazingly flexible, as shown by the rapid pace of development in the field of technical textiles. We want to keep our eye on the latest trends in material development, processing and coating. 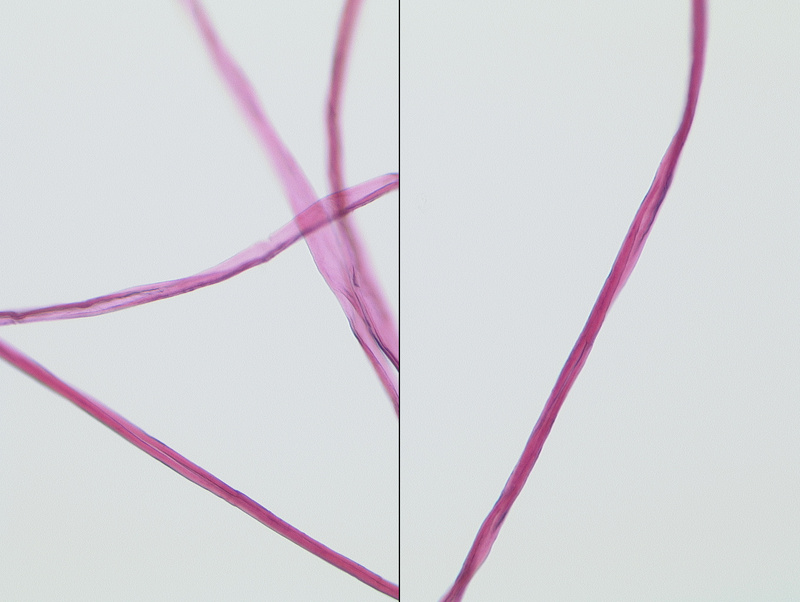 New types of fibre are also relevant for our work because we need to be able to identify any new fibres. Naturally, we also cultivate contacts to, for example, researchers in the textile field who inform us about detection thresholds and, sometimes, send us samples. So, does this mean I need to be naked to carry out the perfect crime and not leave any traces? I would advise you not to carry out any crime whether fully clothed or not! Seriously, I have mentioned some aspects of the work of a textile trace analyst. However, this is by no means everything. Because every case is different, the materials we receive are incredibly varied. You wouldn’t believe the things people come up with … some of them would be too implausible even for a Hollywood thriller. So it remains extremely interesting as do the fibres – although, on the one hand, they are an everyday product that we wear, they are also, on the other hand, something very special.